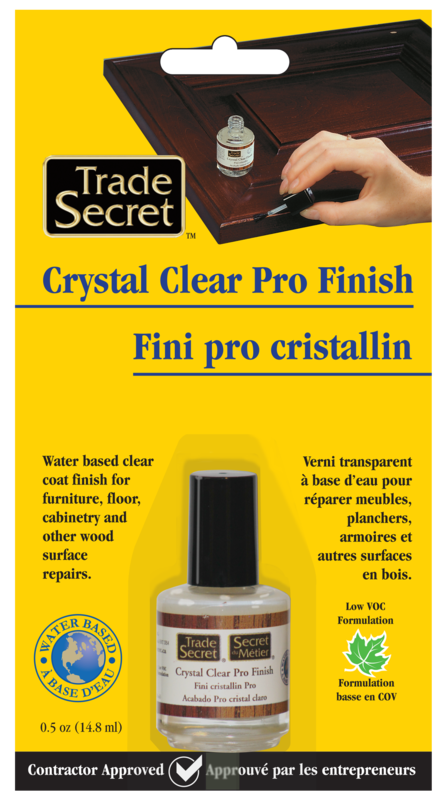 Water-based clear coat finish for furniture, floor, cabinetry and wood surface repairs. Safe on all furniture! Fills scratches and minor damage to finished wood and most laminate surfaces.May be used to restore worn finishes. Water-based. Extremely low VOC. Includes: 1 x bottle of Crystal Clear Pro Finish, 0.6 fl.oz/18ml.